Dr Olisa Okeke, ICT Director (left) and Chief (Dr) Okwun Omeaku, Public Relations Officer at the Commissioning. 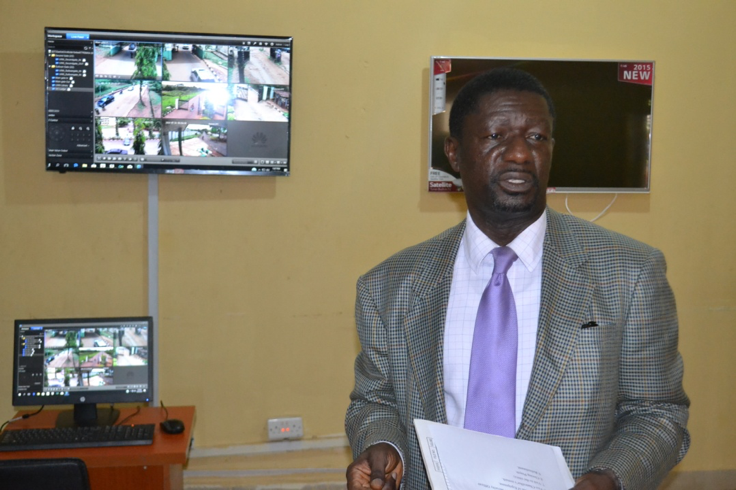 In his effort to strengthen security around the campuses, the Vice-Chancellor, Prof Benjamin Ozumba on Wednesday, May 16, 2017 commissioned surveillance cameras mounted in strategic locations in Nsukka and Enugu campuses of the university. 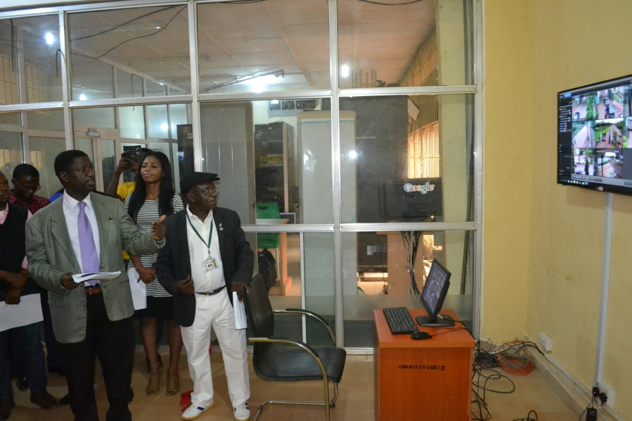 The Vice-Chancellor, Prof Benjamin Ozumba Commissioning the surveillance cameras at Nsukka campus. 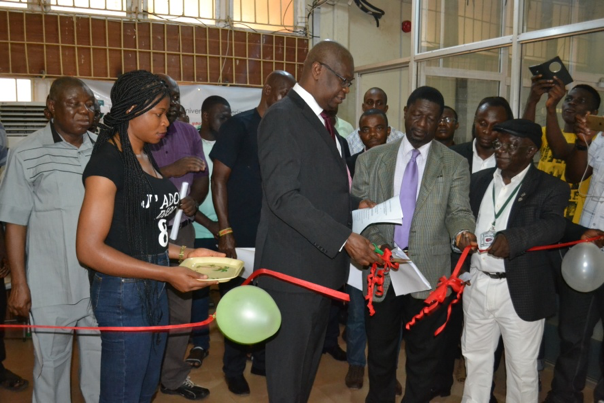 “This is a modern technology for security and I am happy it is deployed in our university”, the Vice-Chancellor said while addressing a handful of university security personnel and ICT technicians who witnessed the commissioning exercise. The Director described the project as a tremendous investment by the Ozumba’s administration which would enhance the security of lives and property in the university. “They are configured with Internet Protocol address which enables us use them with our network”, added Engr Chinemerem Igbokwe an ICT anchor person for the project. Chidubem explained that the cameras could store recorded images for a period of over three months and that there were plans to improve the storage capacity. Eight security personnel, according to Igbokwe had been trained on how to use the cameras.